Mining activities can increase environmental problems and compromise the quality of soils, surface water, groundwater and atmosphere, as well as expose the biota to toxic elements. 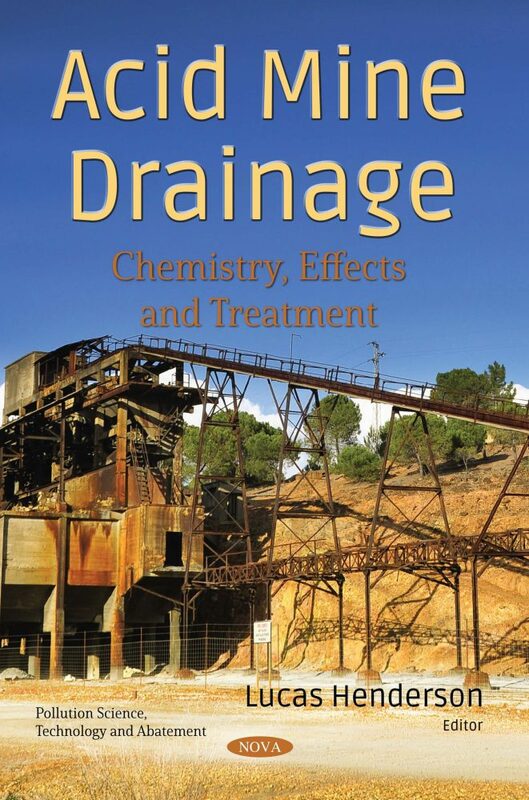 In Acid Mine Drainage: Chemistry, Effects and Treatment, the authors present preventive techniques that can be used in conjunction with active and passive techniques for the treatment of acidic effluents. Passive treatments utilize naturally available energy sources, such as gravity, microbial metabolic energy and photosynthesis, for the treatment of acid mine drainage. The main aim of the next study was to assess the potential impact of a chemical stressor such as acid mine drainage on benthic macroinvertebrate communities through a spatial and temporal gradient. Five stations (three reference sites and two impacted sites) were selected for this study in the watershed surrounding S. Domingos mine. The objective of another significant study was to employ an ecotoxicological screening tool to prioritise streams and rivers impacted by acid mine drainage in the upper Olifants River catchment, South Africa as candidates for possible passive treatment interventions. Impacts of direct water pollution can result from any activities that involve direct discharges into waterbodies. In Morocco, numerous old mine sites have been abandoned without any plan for proper closure and thus many of them have become very dangerous to the environment. In the concluding study, the Kettara mine, a Moroccan pyrrhotite mine located in a semi-arid area, was chosen as a pilot site. More than three million tonnes of mine residues were deposited there and the physicochemical characterization of these mine wastes confirmed their strong potential to produce acid mine drainage with a pH varying between 2.9 and 1.5.